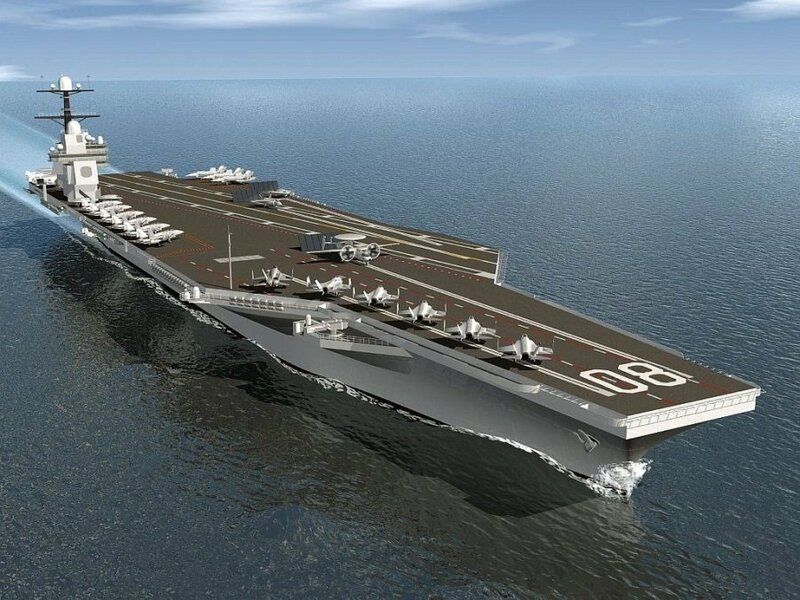 WASHINGTON, D.C., the USA (BulgarianMilitary.com) – On Monday (25th February 2019) Fairbanks Morse, an EnPro Industries company, announced that it has been awarded a contract for building and delivering EDG (Emergency Diesel Generator) sets for two future U.S. Navy nuclear-powered aircraft carriers, CVN-80 (USS Enterprise) and CVN-81 (not named yet), learned BulgarianMilitary.com. The above mentioned vessels will be the US Navy’s third and fourth Gerald R. Ford class nuclear-powered aircraft carriers. The future USS Enterprise is the ninth US naval vessel, which will bear that name. The Gerald R. Ford class (or Ford class; previously known as CVN-21 class) is a class of aircraft carrier being built to replace the USS Enterprise (CVN-65) and eventually the U.S. Navy’s existing Nimitz-class carriers, beginning with the delivery of USS Gerald R. Ford (CVN-78), which is the lead ship of her class. The new vessels have a hull similar to the Nimitz carriers, but introduce design features intended to improve efficiency and reduce operating costs, including sailing with smaller crews. Each EDG set will deliver safety-related back-up electrical power, which is of significant importance in missions in case that the ship loses power. The EDG sets will be built at the manufacturing facility of Fairbanks Morse in Beloit, Wisconsin. Construction will start this year. It is planned the vessels to be delivered to Huntington Ingalls Industries (HII)-Newport News Shipbuilding in Newport News, Virginia in 2023. Then Fairbanks Morse will provide installation, commissioning, testing, as well as sea trials for the vessels. Approximately 80 percent of US Navy ships of medium speed power applications are equipped with engines of Fairbanks Morse. The U.S. Navy has relied on Fairbanks Morse for more than 70 years for the provision of quality diesel engines for mission critical marine propulsion and ship service power systems.